Universal Studios Home Entertainment says it has raised the bar on HD DVD's unique web-enabled experiences. 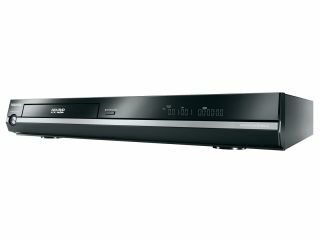 It's unveiled an internet infrastructure that allows it to take advantage of the web connection in every HD DVD player to deliver "compelling, title specific features". Heroes: Season 1 on HD DVD was the first Universal title to take advantage of web-enabled capabilities. But with the forthcoming availability of Evan Almighty too, Universal has added web-enabled features such as a Download Center, U-Shop and much more. "HD DVD provides a consistent platform that allows us to go beyond DVD to deliver the best possible next generation HD experiences and begins to introduce consumers to the infinite potential of web-enabled content," said Craig Kornblau, president of Universal Studios Home Entertainment and Universal Pictures Digital Platforms. "With our web-enabled features, we wanted to deliver capabilities that compliment the HD movie watching experience while also offering a destination online that gives users the opportunity to dive deeper into their favourite movies and TV shows. We've just begun to explore HD DVD's potential and this infrastructure lays the foundation for us to easily evolve with consumer preferences." Using these new features, you'll be able to download bonus scenes and make an online profile, or even add new, downloadable experiences long after a title leaves the store shelf. The interface allows you to register and create a personalised experience, while taking the first step toward participating in a fan community around your favourite movies or TV shows. Once registered, the account will be recognised by your HD DVD player whenever a new web-enabled Universal disc is inserted. It can remember user preferences and multiple accounts with different passwords all registered on the same player. One of most coolest new additions is the new U-Shop feature, an online store launching with Evan Almighty on HD DVD. By accessing U-Shop during the movie, you will be exposed to online purchase options related to the movie from the latest featured fashions to movie-themed collectables.